EES can supply most disco and karaoke products from all the main suppliers, we can match most prices, but above all will give you the support thereafter to ensure you of the best service always. Call us for KAM; Technics; Denon; HK and many more! We also service and repair equipment, so if you're stuck we can help. Our workshops offer a fast turn round on most items and we carry spares for a number of items. 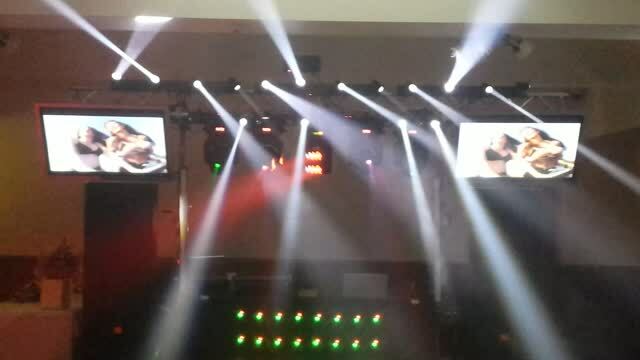 If you are a venue or night club, we can supply equipment, install it and service existing equipment. EES can also recone / recentre speakers from all makes! - we offer a fast return! Most makes of equipment available ex stock - just call us and we will give you the answers! Whatever your needs check us out, just call us and we will do our best to give you our best prices and our fastest delivery. We are main agents for most makes of sound and lighting equipment so nothing is impossible! We also service amplification and lighting units, so if you have equipment to get checked out you've come to the right plce! Call us on (01793) 496 995 or use our contact page.